Learn how to reconcile Stripe payments in Xero in 5 easy steps. Step 1: Once a Stripe Payment is received, go to the bank reconciliation screen. Step 2: Under the matched transactions, go through the list and check the box the job the payment applies to. Or you can scroll all the way down and select the payment that showed up automatically in Xero when it was recorded by Studio Ninja, this way you don’t have to find the match in all your invoices. Step 3: Click Adjustments and choose between Bank Fee or Minor Adjustment. 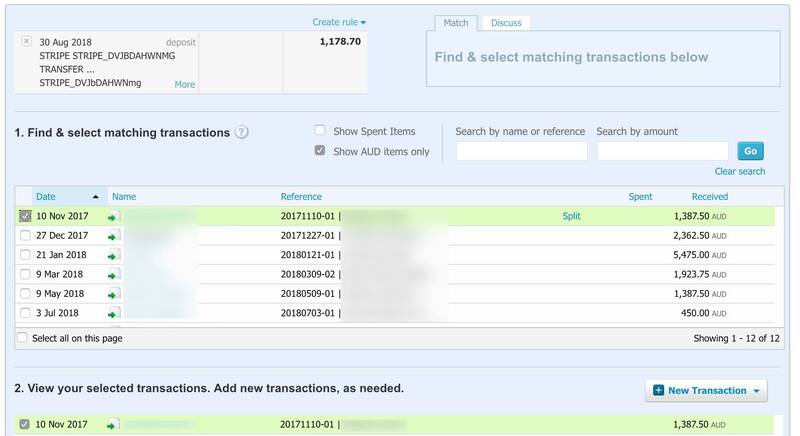 *The bank fee amount is the difference between the statement line and the transaction in Xero. Step 4: Put in the Stripe Fee and make sure it matches the amount in your Stripe account.